Here is the summary of tentative changes to the GTS Rules for 2019 based on the submitted proposals and following discussions between drivers and the committee. We are offering this draft for further open discussion by the drivers here at Forum to finalize the changes. The reality is that we often find the great differences in opinions naturally driven by the variety of demographics and conditions in different Regions. If, at the end of the day, we make a call not in agreement with a given opinion or proposal – it is not because we ignored or didn’t listen. 1. No penalties for the tire width or wide body will be assessed. It was unanimous call between SDs and majority of drivers – not supported by data making it to be a clear performance advantage, goes against the spirit of the series and opens the door for the future assessment of other mods, like aero, differentials, suspensions, etc. 2. GTS will remain German only manufacturers series. It was created as the branded series of well build race cars of certain quality and appearance. At this point we believe it should remain as is, carrying the high standards of the brand. We still offer exceptions to other European marquis to participate in GTS Regionally. “In order to simplify the Ruleset and provide opportunity for cross-over and displaced cars in GTS – we are making following suggested adjustments. Displacement (cc) Limits, forced induction multiplier and previous Class Exceptions removed. As before, drivers are fully responsible for classing their own cars. Detunes and weight adjustments are not allowed to drop a car below One Class drop from the Natural Class. Natural Class is defined as where the car would fall based on published factory HP and curb weight ratio. BMW w. S54 engine naturally expected to be in GTS 3 and should not be classed below GTS 2 regardless of the detune. E36M3 w S50/52 expected to be classed naturally in GTS 2. Any swapped engine will be assessed against the published curb weight of the receiving chassis – S54 in E36 – Naturally GTS 3 car, etc. GTS 4 – NO S85 or other 10 or 12 cyl. The above list is to serve as an example of the most common models currently competing in the series but may be modified or expanded based on the future participation examples. In case drivers want to compete with cars outside of the above outlined limitations of the detunes – the formal request must be submitted to the National GTS Director accompanied with the detailed description of the car, Dyno data, Declaration Form and detailed method of the detune – to obtain exception. The approval, if granted, must be attached to the car’s Log Book. The goal of the above listed changes is to preserve the restrictions of the extreme unlimited detunes and remove the displacement limitations. Also, shift the responsibility of classing the car to the driver, instead of officials trying to create a perfect system – which is never perfect. That will allow to keep the Rules simple and open, enforceable and make drivers to take active role in maintaining the fairness. Certainly, we will encounter some odd examples and will deal with them accordingly. Meanwhile, the majority of the current fields will be taken care of by a simple system above. On the ratios – we realize there are different opinions on how those should be adjusted. GTS 1 was debated between 16.5 and 17. Seems 17 may work better for the most allowing Spec E30/944 to supersize. Most of the GTS2s were asking for 13.5, but that may negatively affect few tired S50/52s and non M (325i/328i) engines of E36/46 platforms, so 14 seems to be a compromise. GTS 3 – 10.5 will allow less de-tuning or no – detuning for stock S54 and still within reach for modified S52 engines. That should also offer a better fit for Cayman S cars possibly encouraging some to join. Also, easier cross over to TT3. GTS 4 - will allow to minimize de-tunes for stroked S54 engines, less restriction for Cup Cars and run open S65. May negatively affect few older air-cooled Porsche cars though. Again, this is the draft representing the current majority, but by no means carved in stone. We would encourage as many opinions as possible, preferably with constructive input and offer of practical changes, especially on ratio changes if any. Simple support or disapproval calls are of a value as well. We have about a week time to finalize all changes. Mike, read carefully. Almost everything is changing. .5 bump in power and essentially cc limits are gone for most classes. I happy with these changes. Would like to see a bit more power, but a small power bump is nice and better than none. I am allowed to detune for 1 class down from my natural class. Yes, you are reading correctly. GTS getting closer to it's roots and simplicity of being a power to weight class. Awesome! GTS2 should consider having a 2.5l turbo limit to allow 944T's to stay in the class. There are no 2.5l BMW engines that I am aware of that cause an issue with this change. I think these changes make GTS more appealing, so I absolutely approve. GTS should stay as it is with no changes. On 3 separate race weekends in the Rocky Mtn Region we had GTS2 fields of 17,18, and 20 entrants. Why mess with that? The longer things stay exactly as they are the more chance there is for any division to grow. Don't mess with success. When things change some may join but some will also leave. I approve of the changes. I was hoping to see GTS2 change to 13.5 but the bump to 14 is better than nothing and a good compromise. Is your measure of success based on just your region or the whole country? GTS is not a new class. Since the new rules in 2016 car counts have not increased for the class, it has actually gone down on a National level. What about GTS1/3/4/5 in your region. Should all the rules remain the same even at the risk of continuing to see racers choose ST over GTS? The changes looks good to me! Should make positive impact on the series. It really would have been nice to get to 13.5 to 1 for GTS2 to make things a bit easier on track for the quicker guys/cars in 2 out of class racing against the not quite as quick guys/cars in 3. With the new spread the cars in 3 gained .5. Having that little extra would have also helped against those pesky ST corvettes too. Healthy S50/S52's are easily in the 240hp range. M52's aren't that far behind. Is anybody running an M50? Even at 3000 lbs, 222 hp should be easily attainable for an M52 or a tired S50/S52. If it is a stretch, you can always reduce wight. 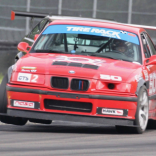 E36's can easily get down to 2850 lbs. The 14 ratio compromise is more for the benefit of Spec Boxsters, which I think still won’t be able to make that ratio. An e36’s “natural” class ratio would be more in the ballpark of 13.2 (3175lbs/240). Most come in around 2900-3k lbs which means at 14 they are still heavily detuned in the 207-215whp range. The SE46’s that showed interest in crossover would be adding 150-200lbs of ballast to be legal at 14. But if 14 is the only option that gets by instead of having to keep it at 14.5 .... So be it. I am FOR these changes. Yup... I like these changes... I personally would have liked the 13.5 P/W in GTS2, but understand the reasoning behind only going to 14. Same here. Anything to help get away from the blasted thunder roadsters is a good thing. I would support a 13.5 ratio for GTS2. As per Mike Miller's and daytonars4 posts I think a S50 or S52 would most likely make 230-240 RWHP and probably weigh (without ballast or lightweight panels) in the 2900 lb. range and therefore have to de tune. Also a M50 at approximately 210 RWHP would be at the sweet spot at the 13.5 level. As for an S54 car to detune to a 14 level it would be difficult without being heavily ballasted and would probably not be necessarily be able to be competitive. At 13.5 it could make the S54 car have a chance at either the GTS2 /GTS3 level. I think the 13.5 level would have the best chance to increase car count. Note: My car is a S50 engined car. I agree with the changes, although commentary about 13.5 and Thunder Roadsters I also agree with. Still, 14:1 is workable and a definite improvement. I’ll agree to most anything that bumps the ratio downwards. I think going to 10.5 for GTS3 is a good start and that should definitely uncork the S54s and allow a Gen1 Cayman S to run, albeit very little mods...with little to no ballast. So, for example, would a .5 bump down allow for ~10more HP in GTS3? Hi there - Adam here. Pretty new to GTS2 in the Great Lakes region. What are people's thoughts on having something that allows the Continental tires as DOT? ST4: "CTSC Tires: Continental Tire Sportscar Challenge EC-Dry tires (225, 245, 275 only) are exempt from the -0.5 Modification Factor for Non-DOT approved tires when calculating the “Adjusted Wt/Hp Ratio”. They will use the tire size Modification Factors for DOT approved tires." Although I realize with Michelin replacing Continental this will certainly be less relevant as time goes on. I support the change to 10.5 pwr/lbs for GTS3. I think it’s the right thing to do having the front wheels doing all the work!